One of the reasons why Pope Francis called for the creation of CHARIS, the new one service for the Catholic Charismatic Renewal, was his desire that the whole Church come to experience the baptism in the Holy Spirit. He has always expressed very clearly this desire for a new Pentecost for the Church and the world, recently once more at the end of the mass for World Youth Day in Panama. In order to prepare for this new Pentecost, CHARIS is launching a big prayer campaign from the beginning of March. This campaign is simple and accessible to everyone. Each month (March, April, May) an address will be given by Father Raniero Cantalamessa, the Ecclesiastical Assistant to CHARIS, who will prepare us to open our hearts for a new outpouring of the Spirit. Please spread the word about this initiative to those around you, in your prayer groups, your communities, your schools of evangelization… Be faithful in prayer so that the next Pentecost really does mark the start of a renewal of the whole Church in the Holy Spirit. God is everywhere. God is present, living in you and me. When I was born I owed God “thanks” for the gift of life. When I was baptized I owed God ‘love” because he made me his child by adoption, filling me with his love and making me an heir to the kingdom of heaven. The Lord calls each of us to serve him through a particular calling in a vocation tailored to our particular talents and gifts and our spirituality. Our call may be to marriage or the single state of life, to holy orders or the consecrated life. We follow our particular calling or vocation through love, loving God with the totality of our being and sharing that love with all those entrusted to our care and those who in any way are part of our daily life. Living within me is the presence of the Lord, the Lord Jesus Christ, the Holy Spirit who guides me and leads me on the journey through life. The love of the Lord fills me and works through me to draw people to come to know and love the Lord. God is not at a distance. He is very near, in my heart, my mind, on my lips. With St. Paul we are continually moving from glory to glory because Christ lives in us. He never leaves us, never stops loving us. He is constant, his love never fails, is always seeking intimacy with us. The more room we make for the Lord in our life the more aware we become of his presence with us, within us. Our vocational call is built on love and the more the love increases the stronger the call and the Lord’s presence within. People don’t fall in and out of love. They can stop loving but the Lord never stops loving, no matter how far we turn away from him. The Lord is always ready to forgive when we repent, ready to restore us to his favour and to lead us closer and closer in the love he has for us. Really, the vocational call each of us have, even though it may be different from one another, is the call to love, to be great lovers who spend time with the Lord, communicating intimately with him. This is our first priority- to love and worship the Lord- to listen to him- serve him in our brothers and sisters- to produce the fruits of love- peace, patience, kindness, gentleness, self-control, joy, all the good fruit of the Spirit. ISSN No. 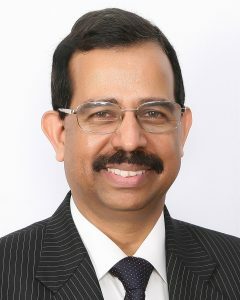 0821-168X. All Rights Reserved. As one of my duties on the National Team for the Charismatic Renewal, I was asked to attend a CCCB forum for Movements and Organizations within the Catholic Church. There were 25 different groups present. They asked us to introduce ourselves by taking a few minutes to explain why we exist. I began by saying the CR has no human founder. It’s founder is the Holy Spirit. I didn’t share this to set CR apart but rather to indicate that the Holy Spirit directs the Renewal and because of that each of us has direct access to the ‘Leader’. But as JPII says in Redemptoris Missio (29) ‘The Holy Spirit is the prime agent of mission (evangelization)’. Without the Holy Spirit our evangelization efforts would not bear fruit. In our baptism and our confirmation we receive the gift of the Holy Spirit and the charisms that he never ceases to bestow and with it the tools we need to live out our two universal calls; to be holy and to evangelize. So if we are going to bear the fruit of personal holiness then developing a relationship with the Lord and a personal prayer life is key. If our evangelization efforts are going to be fruitful then we need to develop the ability to listen to the Holy Spirit and use the charisms he gives us to answer this call. And that’s why the CR exists. It draws people into a relationship with the Lord and journeys with them as the cultivate a personal prayer life. It supports the universal call to holiness. Secondly, prayer groups baptizes the laity in the Holy Spirit to release the power of the HS into their lives and journeys with them while they learn to activate the charisms the Holy Spirit gives them to allow their evangelization efforts to be fruitful. Thus supporting the universal call to evangelize! Its so simple and I think it’s essential that we have this understanding to share with everyone but particularly with pastors of our parishes. It has to make sense for them if they are going to be supportive of our efforts to evangelize. As a member of the National Team I was given opportunity to attend the 50th anniversary celebration of the Renewal at the Ark and Dove Retreat Centre in Pittsburgh along with Cory and Gerard. In preparing to go, we each were asked to write a summary of where we thought the Renewal would be in fifty years. I want to share my vision with you. As I reflect on where the CR will be in 50 years, I think of what Cardinal Suenens said, “May the Charismatic Renewal disappear as such and be transformed into a Pentecostal grace for the whole Church: to be faithful to its origin, the river must lose itself in the ocean”. 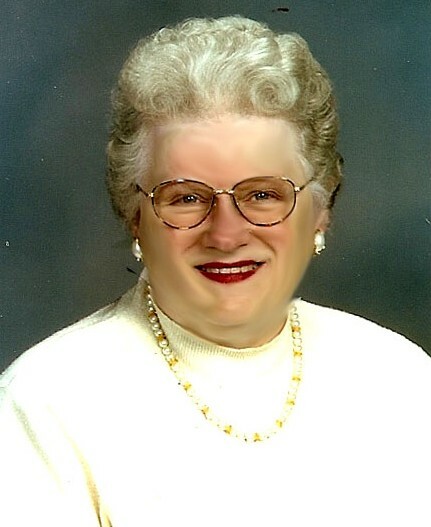 My hope is that in 50 years that no one will be able to tell the difference between a ‘Charismatic’ and a regular parishioner because most will have a personal relationship with Jesus, most will be baptized in the Spirit, and most will be using their charisms to live out their baptismal call to be holy and to evangelize. This will be the common experience of the faithful. Over the next fifty years a new wave of the Spirit, that we are already feeling, will flow over the Church and cause a New Springtime of Evangelization. 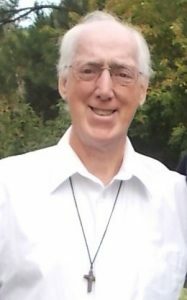 The Charismatic Renewal that has so often operated on the fridges of Church and ended up serving itself in the prayer group instead of the parish will understand not only the role it has in serving the parish but also how to accomplish it in a way that will open the hearts of parishioners to Jesus. As hearts open, Jesus will develop a personal relationship with each. There will be a new openness to the baptism of the Holy Spirit in both clergy and laity. This will cause two key changes in our parishes. Parishioners will begin to enter into worship in a deeper way that will lead to a grasp of the beauty and gift of the Church and particularly the sacraments that support them in their growth in holiness. 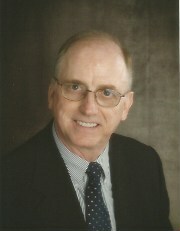 Parishioners will also begin to understand the need to evangelize and the particular role of the laity in the process. They will actively seek the charisms of the Spirit because they will need them to be effective in their mission. As the CR turns outward to serve parishes and parishes turn outward to serve and evangelize their communities, the pews will once again be filled. As parishes move from maintenance mode into missional mode, we will abandon our fear of losing our Catholic identity setting the stage for a new interest in unity and ecumenism. The gift of Vatican II to the Church will be realized in the growth of holiness, evangelization and ecumenism. 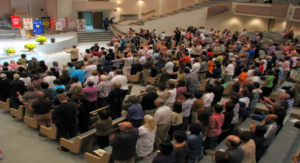 The fruits of the charismatic renewal in the lives of Catholic men and women when it started in 1967 left no one in doubt that the renewal was the work of the Holy Spirit, and with time, it was accepted by the whole Catholic Church. The renewal brought freshness in the life of the Church, and people touched by the power of the Spirit were experiencing conversions, expressive praise and worship, spontaneous praying, speaking in tongues, healings and miracles, prophecy, evangelization and other spiritual gifts. However, as we celebrate the golden jubilee of the Catholic Charismatic Renewal in 2017, it is pertinent to ask ourselves whether our fervour had retained its vigour over the years. Aspire to grow in the grace of our Lord and Saviour Jesus Christ. You must be acutely aware at all times that you need the grace of God to succeed as a Christian; ask the Lord daily for this grace. Paul told Timothy that he needs to be strong in the grace that is in Christ Jesus (2 Tim 2:1). Spend quality time with the Lord every day. Regular visits to the Blessed Sacrament afford you the opportunity to be intimate with the Lord. Power flows from God to us when we are in His presence. Psalm 16:11, tells us that in God’s presence, there is fullness of joy and on His right hand, there are pleasures forever. Establish a personal culture of Pentecost, wherein you ask the Lord for a fresh outpouring of the Holy Spirit upon you daily. By this you would not be living on stale manna. Praying in tongues for extended periods daily helps you build your inner man (1 Cor 14:4). The Holy Spirit makes us a fountain of living water (Jn 7:38) and helps us in contending for the faith in times like this (Eph 5:18; Jude 20). Receive the sacraments frequently, especially the sacraments of reconciliation and the Eucharist. The sacraments help us to remain steadfast in the faith. They enable us to connect with Jesus who tells us in Jn 15:5-6, that unless we abide in Him and He abides in us, we cannot bear fruit. Get involved actively in evangelization. Pope Francis said, “How I long to find the right words to stir up enthusiasm for a new chapter of evangelization full of fervour, joy, generosity, courage, boundless love and attraction! Yet I realize that no words of encouragement will be enough unless the fire of the Holy Spirit burns in our hearts. A Spirit-filled evangelization is one guided by the Holy Spirit, for He is the soul of the Church called to proclaim the Gospel….I implore Him to come and renew the Church, to stir and impel her to go forth boldly to evangelize all peoples” (The Joy of the Gospel, 261). Spend time on the word of God – read, study and meditate upon it. It will build your faith, shine light on your path, make your life fruitful and give you an inheritance among the saints. (Josh 1:8; Ps 1:1-4; Acts 20:32). Use your spiritual gifts actively in the prayer group and in the church at large. May the Lord give us the grace to know how much we need to keep awake in the times we are in so that we can maximize every opportunity to serve the Lord faithfully. 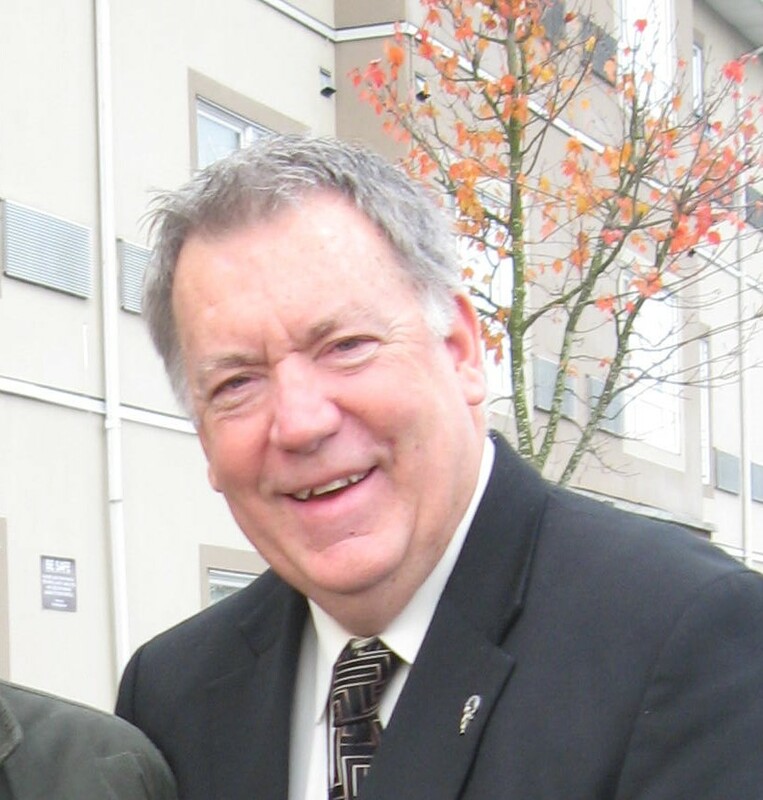 Catholic evangelist Peter Thompson of Calgary will be featured speaker Aug. 13-18 at Our Lady of Pentecost Gathering in the Spirit in Kelowna. Theme of the event, in the golden jubilee year of the Catholic Charismatic Renewal, will be Precious Embers—Catching the Fire. Father Sylvester (Obi) Ibekwe of Creston, chaplain for the gathering, will also be a featured speaker. The Gathering, formerly known as Our Lady of Pentecost Summer Institute, will take place at St. Elizabeth Seton House of Prayer in Kelowna. The schedule will begin with praise, worship and Mass Sunday, Aug. 13, starting at 5:30, and end after lunch on Friday, Aug. 18. Talks will be held mornings and afternoons. A healing Mass open to all will be celebrated on the Monday at 6:15 at St. Charles Garnier Parish in Kelowna, and devotional activities are planned for Tuesday and Thursday evenings at Seton House. The Sacrament of Reconciliation will be offered at lunchtime Tuesday through Thursday. The Gathering is presented by Nelson Diocese Charismatic Renewal Service Committee and endorsed by Catholic Charismatic Renewal Services of B.C., the provincial service committee. Cost before June 15 is $500 per person including all meals and accommodations (double occupancy) at Seton House, or $275 for commuters, including all meals. After June 16 the cost is $550 live in, $325 for commuters. Seton House has a capacity for accommodation of 30, on a first-come, first-served basis. Capacity of the meeting room for Gathering sessions is 40. Some billeting may be available. For registration contact Maria McManus, 250-707-1423, untamedspirit@telus.net, 22-2035 Boucherie Rd., Westbank BC V4T 1Z6. Peter Thompson was born in London, England, and educated by the Xaverian Brothers at Clapham College. 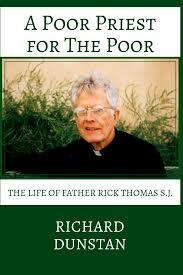 He studied for the priesthood with the Holy Ghost Fathers, but discerned a vocation for lay life. He served two years with the Royal Air Force in early warning radar. In 1962 he married his wife, Madeleine, and in 1967 they moved to Canada with their three young children. Peter worked in retail display and design for 20 years. The Thompsons joined the Catholic Charismatic Renewal in 1974, during a crisis in their marriage and faith, and Peter was called into leadership. In 1990 with the call by Pope John Paul II to a decade of evangelization, the Thompsons were invited to join the Sion Catholic community for evangelization in England, and spent the next two years in door-to-door evangelization and street ministry. Thompson also taught 20 years at the now-closed John Paul II Catholic Bible School in Radway, Alberta, served 12 years on the Canadian national service committee, and two terms on the international service committee. 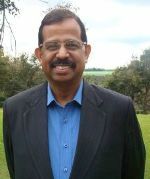 He has also served since 1998 with Renewal Ministries, headed by Catholic evangelist Ralph Martin; with Renewal he has travelled extensively in several African countries, and he was appointed country co-ordinator for Kenya in 2004. Thompson is also a professional watercoulour artist and supports his ministry through the sale of his work. He will speak Monday through Wednesday at the Gathering. Father Sylvester Obiora (Obi) Ibekwe, originally from Nigeria, was ordained for the Nelson diocese in October 2015 and is currently pastor at Holy Cross Parish in Creston, with missions in Riondel and the Lower Kootenay Native Band. He has long been active in the Catholic charismatic renewal and was featured speaker at Our Lady of Pentecost Summer Institute in 2016, 2014 and 2013. He will speak on Thursday and celebrate the closing Mass on Friday. Lynne Williams is co-coordinator of the event. Gladys Miller is master of ceremonies and Johanna Tournemille will lead music. 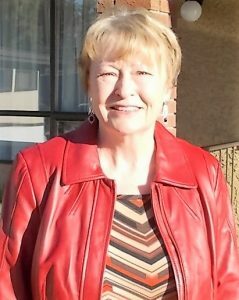 Maureen Watson is in charge of the word gift team, Bev MacIntyre the prayer teams, Roy MacIntyre the after-talk activities, and Flo Reid the intercession ministry. Father Sylvester and Loree Renwick will organized the evening prayer events. The renaming of the former Summer Institute was the result of a year-long process of discernment and discussion, says Gladys Miller, chair of the Nelson service committee. “We were certain that the Summer Institute was instigated by the Holy Spirit,” she says, “and it was our desire that it should evolve according to the Holy Spirit. “We were aware that at least some and perhaps many viewed the SI as an extended conference, and we thought it should be more than that. We wanted it to be a place and time of formation, growth in discipleship and faith, empowerment to be disciples and ambassadors of Jesus. This year’s theme, Precious Embers—Catching the Fire, was discerned in connection with Exodus 3:2, Moses’s encounter with the burning bush. “While the fire of the Holy Spirit consumes us, it never destroys us,” says Miller. Blazoned on the mind of every disciple of Jesus is the image of the Cross. The first prayer we were taught is the Sign of the Cross. Before we could walk or speak, our parent guided our tiny hands to form the holy sign upon our bodies. We were baptized into Christ, signed with the Cross, born again of water and the Spirit. The heart and core of our faith was expressed by our parents and godparents as they signed our foreheads with this holy sign. At our baptism the royal road of the Cross began. St. Paul in 1 Cor. 1:18 reminds us that the message of the Cross is complete absurdity to those who are headed for ruin, but to us who are experiencing salvation it is the power of God. Jesus gave us the supreme example of what it means to embrace the Cross. He left heaven, taking the form of man, knowing that He would lay down His life for all humanity, and that includes every one of us (Phil 2:6-11). The Cross was foreshadowed long before Christ came. The prophetic word was clear that the Messiah would suffer grievously. Psalm 22 describes the crucifixion, as does Isaiah 53: the Suffering Servant. St. Paul in 1 Cor 11:1 invites us to “imitate me as I imitate Christ.” Paul walked that royal road of the Cross, embracing daily the struggles, hardships and sufferings of being a true disciple of Christ. He lists a catalogue of trials in 2 Cor 11:16-32, inviting us to imitate him. Throughout the centuries we are witness to countless saints, ordinary men, women and children who walked this road—some embracing the greatest witness of all, martyrdom, for the sake of the name. We, likewise, in our time are invited by Christ to take up our crosses daily, to imitate Christ. He promised to be with us, shouldering the crosses He allows us to carry. As He did with Simon of Cyrene, Christ now walks with you. There is no escaping the crosses of life. We can seek to fight against them, reject them, grumble and complain bitterly. But in doing so we reject the very means God in His love gives to us, so that we, like our forefathers, can come safely home to the Beatific Vision. St. James tells us to “rejoice when you suffer all kinds of trials and tribulations. Why? Because your faith is tested; this makes for endurance. Let endurance come to its perfection so that you may be mature and lacking in nothing” (James 1:2-4). Who amongst us does not suffer many trials throughout our lives? As we embrace these crosses, we are being made ready for heaven. Self-denial is a sure way to train ourselves for this royal road: disciplining our physical bodies, controlling our thoughts, curbing our tongues. In this way we are better prepared to embrace fully the trials, be they small or severe, that come our way. Again, St. Paul gives us the example of the runner, racing to grasp the prize. He who would aspire to greatness in the field of athletics must learn from the start to exercise discipline, if he is to achieve his goal. We are seeking the highest goal of all, eternal life in Christ. The hardest thing for us to do is to place our total trust in Jesus. Trusting that no matter what circumstances we find ourselves in, God in His wisdom is working tirelessly for our salvation. In our embrace of the Cross, we join with Christ in the work of salvation. Christ invites us to pick up our crosses daily and follow Him. This is the royal road that will lead to victory. Bishop Jacobs is retired bishop of Houma-Thibodaux in Louisiana, previously bishop of Alexandria, Louisiana. 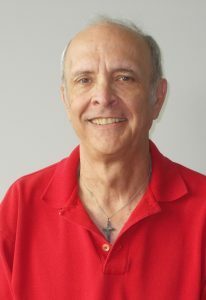 Born in Mississippi but raised in Louisiana, he was ordained in 1964 and served there in the dioceses of Lafayette and St. Charles as parish priest and chaplain, and diocesan director of vocations and seminarians. 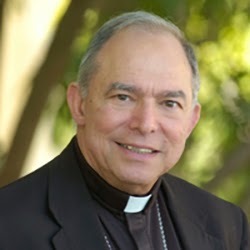 He was named bishop in 1989. He was named to the national service committee in 1982 and was chairman from 1987 to 1993; he returned to the committee in January 2015. 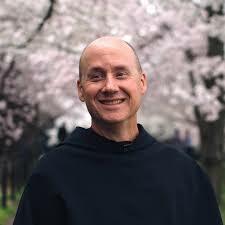 He also chaired the committee for evangelization for the U.S. Conference of Catholic Bishops from 2005 to 2005, and is currently a member of the committees on laity, marriage, family life and youth, and evangelization and catechesis. 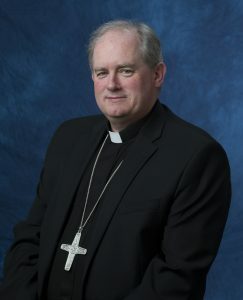 He retired as diocesan bishop in 2013 but continues to serve as a speaker, as well as operating the Spirit Aflame website, http://www.spiritaflame.org/ . 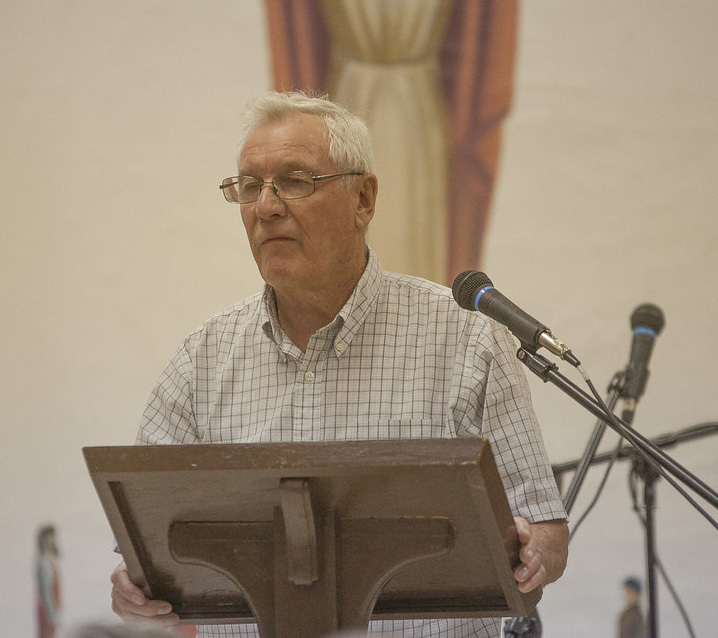 He was featured speaker at the 2015 Our Lady of Pentecost Summer Institute in Kelowna. He may be seen on YouTube at http://www.bing.com/videos/search?q=youtube+bishop+sam+jacobs&qpvt=you+tube+bishop+sam+jacobs&FORM=VDRE. 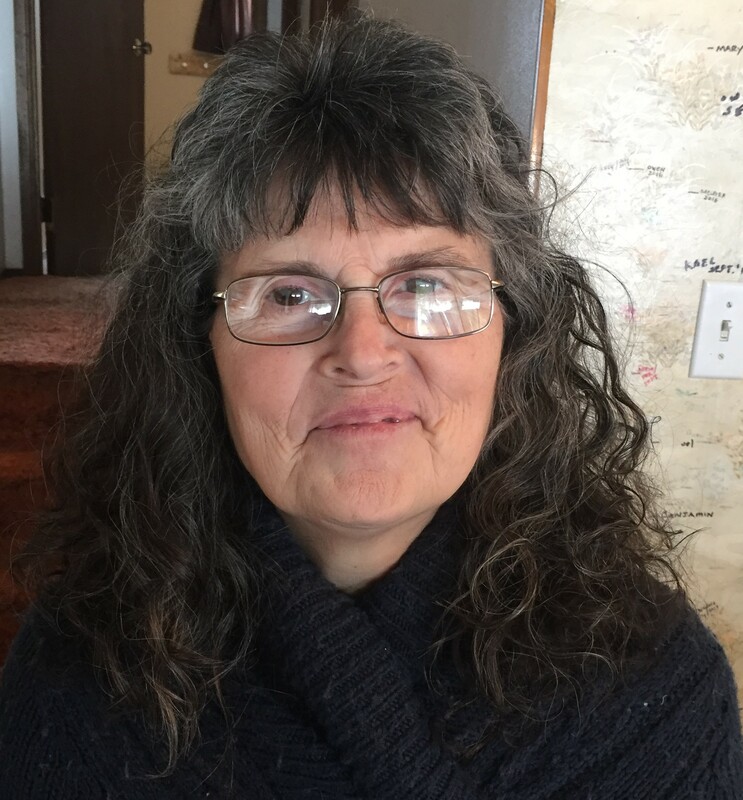 Dr. Schlientz, a Wisconsin resident, holds a doctorate in psychiatric nursing and master’s degrees in theology, spirituality, and psychiatric nursing. She is founder of the Pope Leo XIII Institute for the education of priests in exorcism and deliverance, and assistant director of the Institute for Priestly Formation at Creighton University in Nebraska. 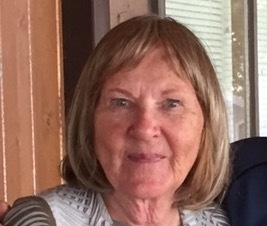 She is co-author of the RISEN program (Re-Invest Spirituality and Ethics in the Networks of Health Care), and presents it regularly to health care systems across the U.S. She has held teaching and administrative posts at Marquette University in Milwaukee, speaks at conferences and parish missions, and ministers as a spiritual director to priests. 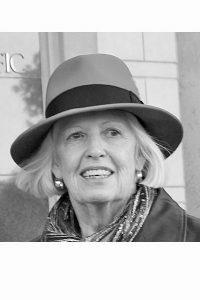 Her website is https://drmargarettschlientz.com/. She is on YouTube at https://www.youtube.com/watch?v=yre6KPH7RJg. David Mangan went to heaven 50 years ago—without dying. It was Saturday, Feb. 18, 1967, the middle of the famed “Duquesne weekend” that marked the beginning of the Catholic Charismatic Renewal. About two dozen students from Duquesne, a Catholic university in Pittsburgh, were attending a retreat on campus, looking for an experience of the Holy Spirit like a handful of individuals had experienced over the previous couple of months while attending interdenominational prayer meetings. Mangan was upstairs in the retreat centre chapel praying when he was overwhelmed by what he later learned was called baptism in the Holy Spirit. He found himself face down on the chapel floor, felt “little explosions” going on in his body, and began praising God in what he later learned was the gift of tongues. Other members of the group were baptized in the Spirit later the same day, and the Catholic charismatic renewal was under way. Mangan, a longtime leader, speaker and author in the renewal, is this year’s featured speaker at the Nelson Diocesan Charismatic Renewal Conference, April 28-29 at St. Charles Garnier Parish in Kelowna, with the title Jubilee of Fire. The conference date falls just after the publication date of the spring B.C. Charismatic, and a full account will be carried in the fall edition. In the Pentecost Today article, Mangan wrote that praise, healing, and tongues are wonderful gifts of the Holy Spirit experienced within the renewal, but the most important gift—“our charism”—is what he calls the “glimpse of heaven” he had in the chapel. “I am looking forward to my next glimpse. But if I never have another ‘glimpse of heaven,’ I know that I have already received more than I could ever deserve. But I am sure we all are looking forward to that day when we get infinitely more than a glimpse. That is the day when “we shall see Him as He is” (1 John 3:2). What does the dictionary have to say about the word “ambassador?” It is a Hebrew word meaning one who goes on an errand; an interpreter; a messenger. An ambassador for Christ is all of these things. It is a title used by St. Paul in designating those appointed by him to declare God’s will. To do injury to the ambassador is to do injury to the king who sent him. We have a privileged place in God’s kingdom because we represent Jesus Christ and his reconciliation to others. We are called to proclaim the gospel to all nations. To do so we must be soaked in scripture, putting our trust in God and recognizing that everything is a gift from God. God will provide all that is necessary for us to do His work. How does Jesus expect us to be His envoy? “So if anyone is in Christ, there is a new creation; everything old has passed away; see, everything has become new!” (2 Cor. 5:17) “Create in me a clean heart, O God, and put a new and right spirit within me.” (Ps. 51:10). It is through a new heart that we become a new creation. This requires co-operation, patience, study, obedience (dying to self), and self-discipline. Pope Emeritus Benedict XVI has said that the ways of the Lord are not easy. We are not created for an easy life but for a life of greatness. Would you like a new heart? Ask for one. Resting in the Spirit is like open heart surgery; the Spirit will stir up your gifts, showing, guiding and providing opportunities and many graces. Pray for holy boldness, zeal for the salvation of souls, and a new heart to be obedient to the Master’s call no matter the cost. Seek to put God first in your life and all will fall into right order; pray to Jesus to remove blockages such as fear, timidity and any other paralysis. Take your eyes off yourself and put them onto Jesus. “For our sake He made Him to be sin who knew no sin, so that in Him we might become the righteousness (holiness) of God.” (2 Cor.5: 21) For some people, this is the most important verse in the bible. Sometimes we see ourselves as sin (because of our many sins), but Jesus comes to save us so that He becomes sin in order that we can be reconciled with God. We live in difficult times, in a world that is strange and puzzling. Into this world, Jesus is calling us to enter into these troubling situations and become ambassadors for him. We are the risen presence of Jesus in this world, and as we serve as His ambassadors, He walks in this world through us. To preach the message of Christ and Him crucified, we must bring the message of God’s great love for all people in the sacrificial offering of his son, Jesus, on the cross. He wants all to receive reconciliation and peace. In Jesus’ rising, death is forever overcome as his followers are promised everlasting life and unity with God. These promises are for all time. Our ambassadorship is under the guidance of the Holy Spirit. “The thief comes only to steal and kill and destroy. I came that they may have life, and have it abundantly.” (Jn. 10:10) this scripture is not about material things; it is about being with God and receiving from Him all He wants for us. It is His plan that we enjoy, not endure. To love a party and to celebrate is important. We should celebrate our ambassadorship even though we have trials. When the Holy Spirit comes upon us we will be empowered. Bloom where you are planted; everyone has ministry and one does not need to go searching it. The Holy Spirit surprises us and speaks through us. Passion, that love of our ministry and fire in our belly, is needed to proclaim Jesus crucified and risen. All our gifts are good and God calls us the use them, following the lead of the Holy Spirit. Satan is busy, but God is busier. The better we know God, the more we trust Him; the better we trust Him, the better we know Him. How do we grow in the knowledge of God? We grow through reading scripture, attending daily Mass, praying, journaling (a love letter to God), and receiving the sacraments. In the Eucharist, you become what you eat. If we are going to become ambassadors for Christ, we need to know Him and become like him. “Bear with one another and if anyone has a complaint against another, forgive each other; just as the Lord has forgiven you.” Honour Christ by your conduct. To be afraid of God is an unholy fear. Scripturally, to fear the Lord is to love Him. Fearing God involves reverence, respect, obedience, submission, worship, awe, living in his righteous standards and honouring him in all we do. Fear of the Lord is the beginning of wisdom and love from the Lord is its completion. God loves us and will never leave or forsake us. “Am I not free? Am I not and apostle? Have I not seen Jesus our Lord? Are you not my work in the Lord? If I am not an apostle to others, at least I am to you; for you are the seal of my apostleship in the Lord.” (1 Cor. 9:1) May you claim your apostleship, living in peace, loving and serving the Lord. Blessed Elena Guerra (1835–1914) is remembered in the history of the Charismatic Renewal as someone who prepared the way. She courageously pursued what was on her heart: The Holy Spirit needs to find room again in the Church’s awareness! But who was this woman who caused a whole century to be called an “era of the Holy Spirit” – and what did she really achieve? Blessed Elena Guerra was born into a wealthy aristocratic family in Lucca, Italy, and was educated as befitted her rank. Her nature was shaped by the desire “to do good for God.” Her heart was burning for the conversion of unbelievers. She willingly visited the poor and ill of her city. She wrote down her spiritual intentions and thoughts in small brochures and tracts. Elena gathered like-minded people, and as a young woman she founded prayer groups and prayer initiatives (“the perpetual world-wide Upper Room”) and the Congregation of the Oblate Sisters of the Holy Spirit. It was Blessed Elena’s desire to bring people into a close relationship with the Holy Spirit. Church and society – Blessed Elena says – need the Holy Spirit as never before for their own renewal and vivification! She was untiring in this task: she encouraged prayer to the Holy Spirit and exchanged letters with priests and bishops exhorting them to teach and preach about the Holy Spirit. In her diaries, Blessed Elena called herself “a poor maidservant of the Holy Spirit” and even a “baggage porter of the Holy Spirit.” As the reaction she received for her efforts still seemed too small, the desire to ask the Pope for support and for a global spreading of her intention, grew more intensely in her. Blessed Elena’s message was received by Pope Leo XIII (1810-1903) readily and in openness: Only three weeks after her first letter, the Pope introduced a solemn period of prayer to the Holy Spirit between Ascension and Pentecost (now known as Pentecost novena). Between 1895 and 1903, Blessed Elena wrote a total of thirteen letters to the Pope. She encouraged him to urge the bishops to pray together with the faithful for a new outpouring of the Holy Spirit as well as for the unity of Christians, which only the Holy Spirit could bring about. In 1897, Pope Leo XIII responded to Elena’s desire by writing an encyclical (“Divinum illud munus”) about the Holy Spirit. This teaching document was about appreciation for the Holy Spirit and His gifts. While in 1900, Pope Leo had consecrated mankind to the Heart of Jesus on the occasion of the Holy Year, Blessed Elena was moved in her heart to ask the Pope to begin the new century by calling down the Holy Spirit. Pope Leo took up this suggestion and sang the hymn “Veni Creator Spiritus” (Come Holy Spirit, Creator Blest) in the name of the whole Church. This prayer did not remain without effect. On the same day, the Holy Spirit really came with his gifts as in the days of the early Christians. However, it was answered in a different way than Blessed Elena and the Pope had expected: The Holy Spirit was first experienced in a new way by people outside the Catholic Church, who had earnestly sought Him in prayer: In the evening of that same day when the Pope prayed in Rome, a group of American Protestants gathered around Charles Fox Parham (1873-1923) experienced an outpouring of the Holy Spirit and his gifts. A second initial event for the so-called Pentecostal movement was a revival in the Azusa Street Mission in Los Angeles led by the African American William J. Seymour. The Holy Spirit did not adhere to confessional boundaries. It took quite some time until members of the Catholic Church received the Baptism in the Holy Spirit and experienced the outpouring of the charisms in 1967, which we consider to this day the starting point of the Charismatic Renewal in the Catholic Church and which we celebrate in the 50 year Jubilee in 2017. Exactly at a time when our Church underwent major changes (the secular power of the Popes disintegrated with the loss of the Papal States during the time of Blessed Elena Guerra), this small, unimpressive religious sister helped the Church refocus on a power of the Church which did not rely on rule or armies and had been forgotten for a long time: the power of the Holy Spirit. At her beatification on 26 April 1959, Pope John XIII called her a “missionary of the veneration of the Holy Spirit in our present time” and thus testified to Blessed Elena’s extraordinary vocation in the church and for the church, which she lived courageously – which makes her a model for us to this day. Five days of special events are scheduled in Rome May 31-June 4 in honour of the Golden Jubilee of the Catholic Charismatic Renewal. A substantial number of charismatics from B.C. will be attending these events on pilgrimages organized in Vancouver, Kelowna, and Edmonton. 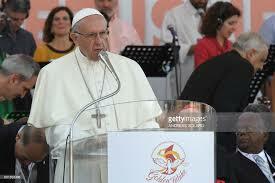 The celebration opens with a general audience with Pope Francis, who invited charismatics to Rome for the occasion in his address to a charismatic rally that drew 50,000 people to Rome’s Olympic Stadium in June 2014. It closes with a Mass celebrated by the Pope in St. Peter’s Square June 4, Pentecost Sunday. Other events include a worldwide jubilee gathering with Mass, a Pentecost vigil with the Pope, prayer meetings, devotional sessions, workshops, leaders’ meetings, and a theological symposium. The jubilee events mark the 50th anniversary of the Duquesne Weekend (see also Page 5), when a group of Catholic students at a retreat at Duquesne University in Pittsburgh received baptism in the Holy Spirit after praying for an outpouring of the Spirit. The weekend took place in February but the jubilee celebrations are centred on Pentecost, the day the Church celebrates the first outpouring of the Spirit in Acts Chapter 2. Most Rev. Peter Smith, auxiliary bishop of Portland, and Dr. Mary Healy of Ann Arbor, Michigan, a leading Catholic Bible scholar, will be featured speakers Sept. 22 and 23 at the Vancouver archdiocesan conference. The conference will take place at Broadway Church, 2700 East Broadway (corner of Slocan), a Pentecostal Assemblies of Canada facility approved by the archdiocese for Catholic events. Bishop Smith, 56, is a member of the Brotherhood of the People of Praise Community, a charismatic community which grew out of the People of Praise at Notre Dame University in South Bend, Indiana, and is now based in Portland. He has also served as archdiocesan liaison to the charismatic renewal. Born in South Africa in 1958, he served in the South African Army and earned degrees in business administration and law, intending to join his father’s law firm, but instead felt called to Christian community in the United States, where he moved in 1983. He was ordained to the priesthood in 2001 and was named bishop in 2014. 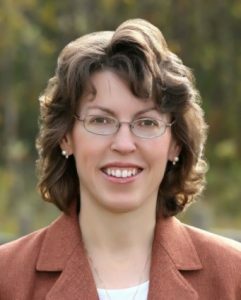 Dr. Healy completed her doctorate in biblical theology at the Pontifical Gregorian University in Rome in 2000. She is associate professor of Scripture at Sacred Heart Major Seminary in Detroit, a member of the Pontifical Biblical Commission which advises the Pope on scriptural issues, and co-editor of the Catholic Commentary on Sacred Scripture, a multi-volume commentary currently in progress. She is also a member of the doctrinal commission of International Catholic Charismatic Renewal Services, and former co-ordinator of the Mother of God Community, a charismatic group in Maryland.